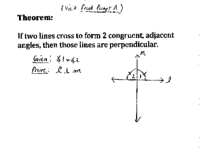 Theorem: If two lines cross to form congruent, adjacent angles, then those lines are perpendicular. 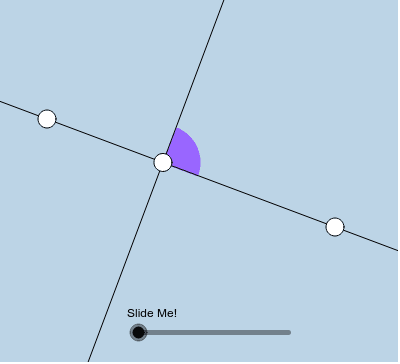 Write a 2-column (or paragraph) proof that formally proves what this applet informally illustrates. Be sure to set up an appropriate diagram, state what is given, and state what needs to be proven. Then prove it!